Jenny's 31 Days of Halloween! – 3 Post Catch-up! Welcome to my 31 Days of Halloween! Each day in October I will be watching a Halloween(ish) movie which includes anything that helps get me into the spooktacular mood of the season. While watching each movie, I’ll record my inner ramblings for everyone to view. This is a true baring of my soul people! Just kidding, it’s not – but it will be a true honest-to-god reaction to everything I’m seeing. So if “inner monologue” articles are not your thing – maybe you pass this up. For those of you sticking with me, the genre I’ll be watching will revolve around Halloween themes, including (but not limited to): Thrillers, Horror, Suspense, and of course Disney Classics! So buckle up campers, it’s going to be a bumpy ride! 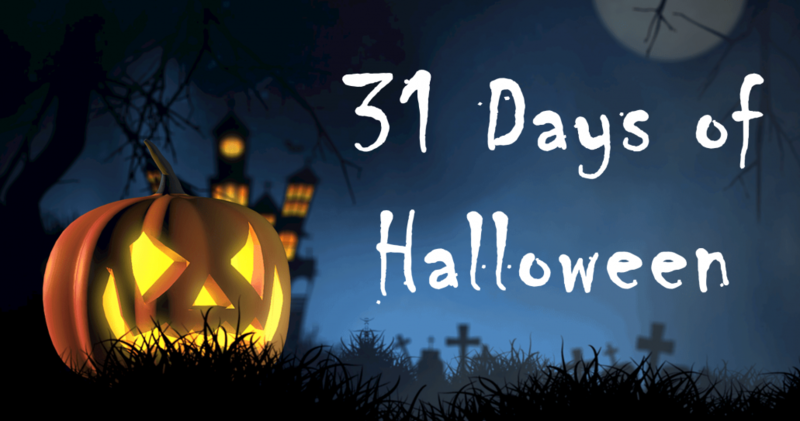 Okay, truth be told – this 31 Days of Halloween is hard! I know not everyone has time to sit down and devote hours and hours to watching TV and movies, but I’ll tell you what – I’m keeping up people, I’m just not keeping up with my articles. That being said, I had a fun few days watching movies I’ve never seen and thus keeping up with the pace of the season. Lets start with the weird smorgasbord of films: Predator, Kiki’s Delivery Service, and Young Frankenstein. Yeah – that’s what we’re working with people (one of these things is not like the other). The reason why you’re seeing a bunch of random movies is because I wanted to watch films this weekend that I had never seen. And yes – Predator, and Young Frankenstein were at the top of that list. And though I would love to review each of these – because they really do deserve their own article, I just don’t have time. As I’m writing this, I’m already thinking of the next two films I’m going to watch for tonight and tomorrow and I’ll tell you – NOT. ENOUGH. TIME. Anyway – instead, let’s talk about watching films that everyone else has seen, yet I’m experiencing for the first time. When I was watching Predator and Young Frankenstein, I kept thinking to myself “Wow, I wonder what it was like to see these when they first came out?” Because, there was an element of “over-hype” that happened between the “Then” to “Now” that I was struggling with. For years I had heard people talk about these movies with reverence. Saying things like “man, predator is awesome – it’s so scary!” Or even “Young Frankenstein is so funny!” And not that these exclamations were incorrect, if anything they are true to the person who’s watching or watched the movie for the first time at the inception of the movie hitting the market. But what about someone like me, who never partook in the film until now, and has had decades of verbal reviews for said movies slung left and right at her? Honestly – I actually loved Predator and Young Frankenstein. But the problem is that it’s just not the same watching things like this some 30 years later. The explosions, graphics, and dialog all feel … aged. And that’s what I get for waiting so long to watch something that people have loved for years. Which is saying something. I think it’s fine to wait – but waiting as long as I have is a little much. Especially for movies like Predator and Young Frankenstein. What is not part of the discussion is Kiki’s Delivery Service – which was a complete delight of a film. My friend Jane has shown me so many wonderful things since we’ve gotten to know each other. One of the most recent examples of this is my exposure to Studio Ghibli. I’ve taken the time over the last few weeks to also watch Princess Mononoke, which I will not discuss here (mainly because I don’t have the energy to try and sort through everything that film presented). So, when I saw that Studio Ghibli did a cute little Witch movie, I couldn’t resist. And I’m so glad I watched! Anyway – all in all this was a great three days of movies. It’s not very often I get to examine old Halloween favorites through new eyes. Or infrared eyes. Or great bulging bubble eyes. Young Frankenstein was probably intended to look dated since it parodies 1940s Frankenstein movies from Universal Studios. And I mean all of them. When I finally saw the series, I was surprised how much was taken from movies like Son of Frankenstein like the cop with the wooden arm and the dart game. Good parody has to really know what it’s target is supposed to be. I watched the original Predator recently and thought it held up pretty good.